Long Island City’s Casa Enrique is once again the recipient of a Michelin star. The Mexican restaurant, located at 5-48 49th Ave., earned the one-star distinction in the new 2019 Michelin guide, and is the only Queens restaurant to appear on the list this year. Casa Enrique is one of 76 restaurants in the New York City dining guide, and follows several consecutive appearances on it since opening in 2012. The restaurant is known for its traditional Mexican dishes envisioned by its star chef, Cosme Aguilar. Michelin singled out dishes like rajas con crema, chicken enchiladas with mole and chamorros de borrego in its guide, along with desserts like its pastel tres leches. “It’s the kind of food that thrills palates,” Michelin wrote about the restaurant. The restaurant wrote on social media that it is honored to receive the Michelin distinction for the fifth year in a row. 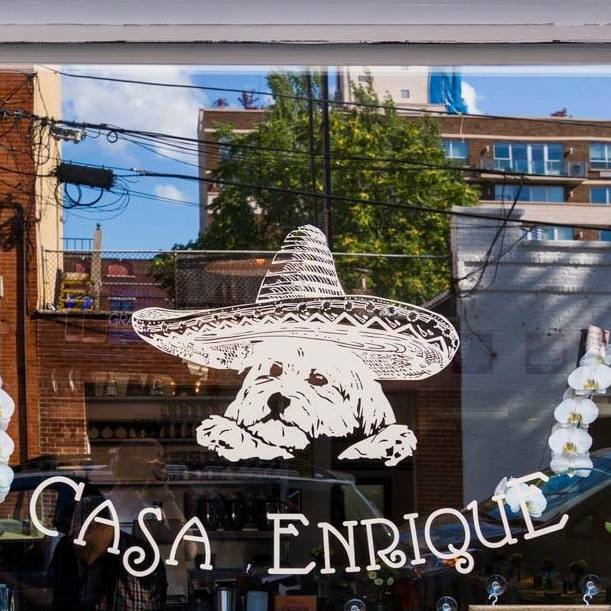 Casa Enrique earned its first Michelin distinction in 2013, appearing in the Bib Gourmand list of restaurants offering high-quality foods at affordable prices. It was awarded its first Michelin star in 2014. The one-star rating, according to Michelin, is for high quality restaurants that worth a stop. The restaurant is owned by Winston Kulok and his wife, Carole Bergman Kulok, who also own Café Henri, a nearby French bistro. So incredibly honored to be awarded #onestar rating for our fifth consecutive year! Thank you to @michelinguide @michelininspectors and the entire Casa Enrique family who make this possible! Casa Enrique is way too generic and similar to other restaurants (unrelated, but sometimes even with the same name!) to excite me. it is a decent place, however, so I am at least not appalled. But it’s still too generic for Michelin Star ratings. People should be more picky these days. Legacy of two long-time owners/renters. One a coffee cafe, the other more of a staging area for a catering concern. So happy the small space was expanded–somehow!–to make a restaurant–please be open at lunch! I’ve only done take out–intimidated by crowds at dinner. No delivery service, but order at the entry. Very courteous staff and much appreciated. Congratulations–and Cafe Henri has a very excellent light dining experience btw. Check it out. There is something nice about the current location and the fact that it is intimate but it is also crowded, loud and hard to get a good reservation. If they keep winning stars, they will have to expand. I love Mexican food, have lived in the neighborhood for 5 years but have only been there 3 times. half of winning a star is the food, the other half is consistency. no need to expand. keep plating quality dishes your proud of and maintain that prestigious award. it’s small, it’s crowded, and you have to wait. get over it, and you’re rewarded with something delicious every time. Agree on consistency, but there are a lot of larger Michelin starred restaurants and being crowded in a small, noisy space has nothing to do with consistency or quality. It just keeps overhead down and less risk to the owner but at the expense of the customers comfort.